Hello all you guys and ghouls! Just in time for Halloween, a new gift shop has opened right in front of The Haunted Mansion at the Magic Kingdom. To be precise Mementi Mori, opened on October 6, and we were there to check out all the new goodies so we could share them with you. If you plan on stopping by, be aware that you might encounter a line just to enter the newest store in the Magic Kingdom! At roughly 7pm the line stretched nearly to Fantasyland and took just shy of 20 minutes to wait through. Once inside, the tiny shop was crammed wall to wall with people. Luckily, everyone inside was a fellow fan of the ride, and everyone was pretty civil. 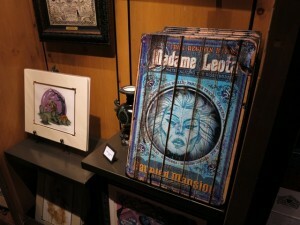 Just inside the shop are a couple displays of art work. 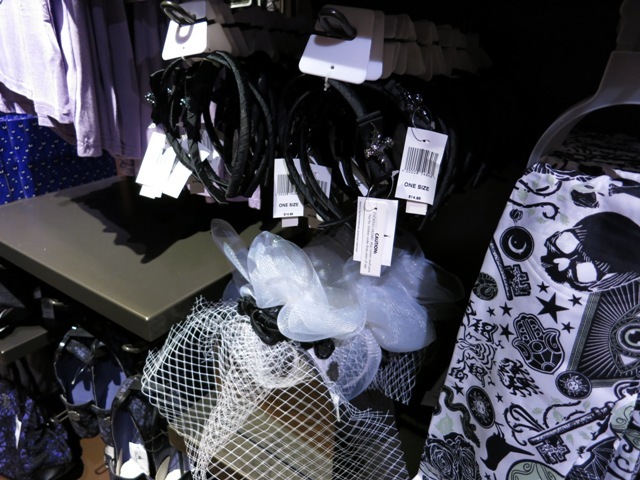 You can tell that the shop just opened today because many items simply didn’t have price tags. You’ll also have to forgive the photos not being up to my normal quality. As soon as I got in the door I handed my big camera off to the hubby, realizing I’d need to switch to something smaller to get any photos around the crowd. While you can’t tell from my photos, it was PACKED in here! 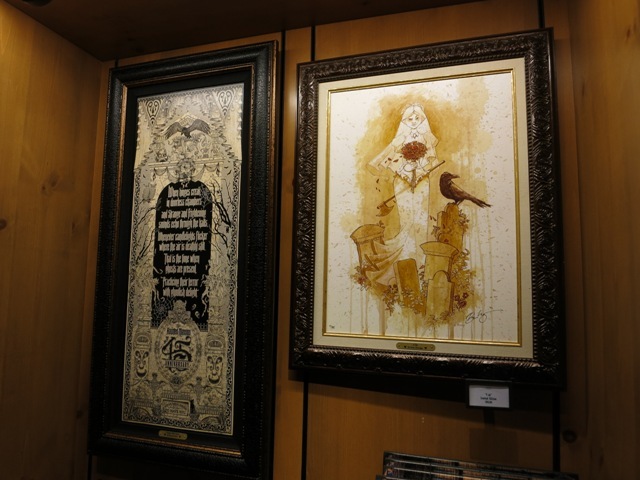 Here are another few art pieces. 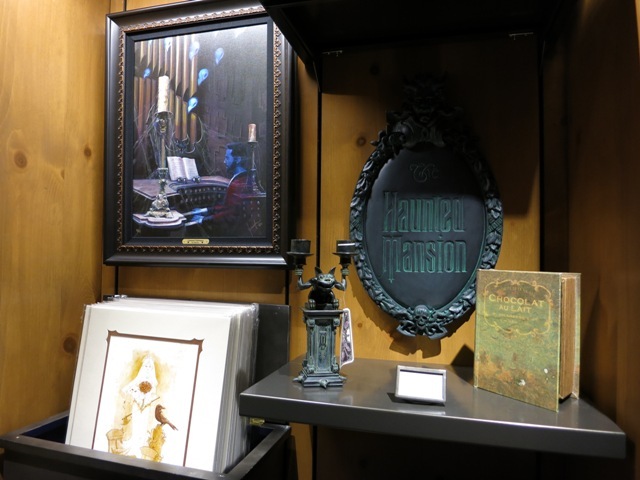 If you’re a fan of The Haunted Mansion plaque pictured below right, then check out Guy’s video on it here. 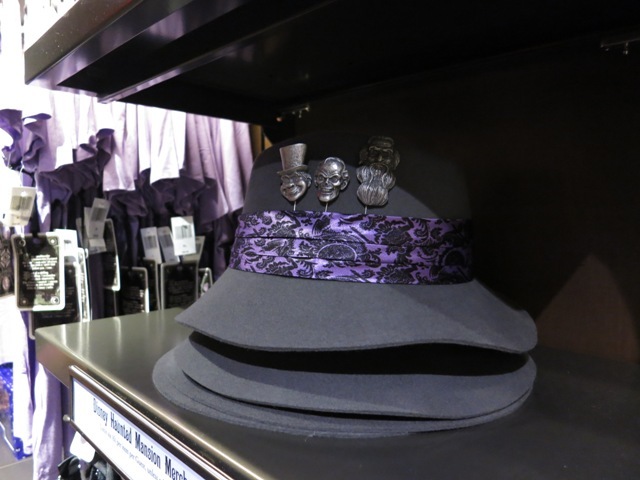 There are some seriously fun hats that I’ve never seen before in this new store. The one pictured on the right is $39.95 and really is a top hat! 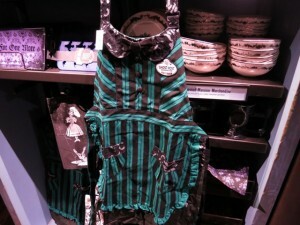 It is large enough to fit an adult, so I imagine these will be popular! Pictured below left is a pen inside a coffin box. 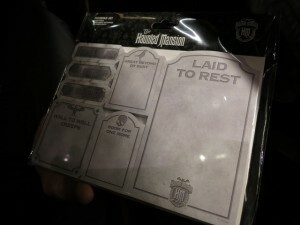 While it very much feels like plastic, it’s pretty nice for $29.95 and drool worthy for the mansion lover in your life. The tin signs on the right are fun too! One of my favorite things from the shop was the bride plush below left. 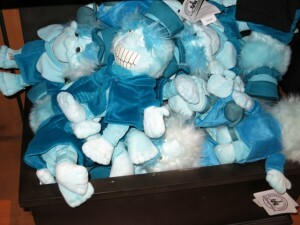 It was pricey at $21.95, but it warmed my heart to already see so many little girls carrying them around! 😉 Below right are hitchhiking ghost figures that I haven’t seen anywhere before! Pictured below left is a pack of notepads. I don’t think I could get away with these in the office, but I like them! 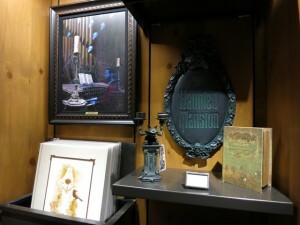 Below right is a postcard of the changing painting before you enter the stretching room. 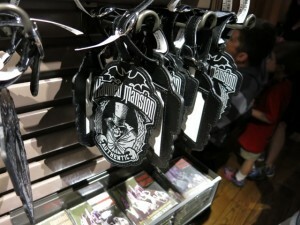 As you move it to different angles, it changes just like it does as you wait to enter on the ride. 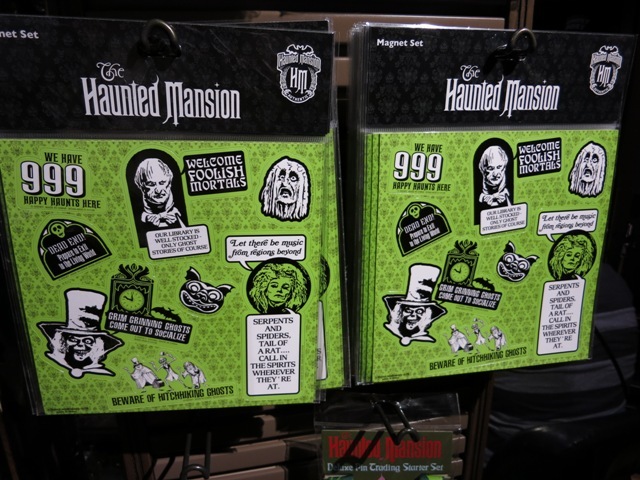 There is also an angle where it says, “The Haunted Mansion.” It’s a steal at $1.95 and another item I haven’t seen anywhere else! 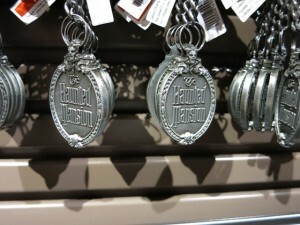 Pictured below left is a luggage tag, and below right is a key chain. They really did it right in this shop and finally have given us all the merchandise we’ve been waiting for. 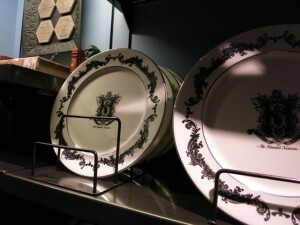 There is a limit of 6 items per guest, and I saw people really having to pick and choose to make it. 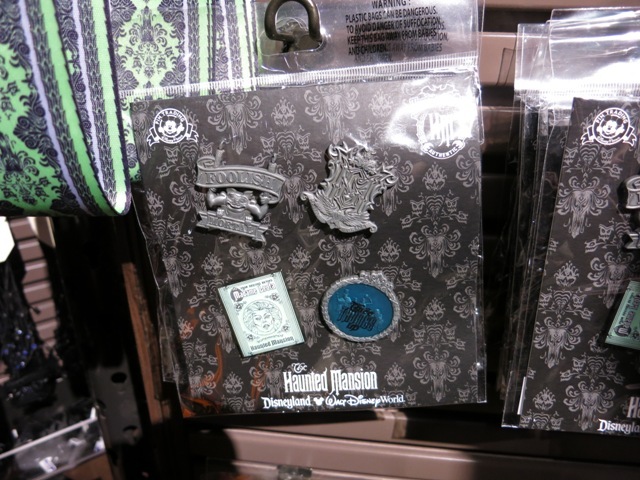 Of course, there’s a lot for the pin lover in your life! 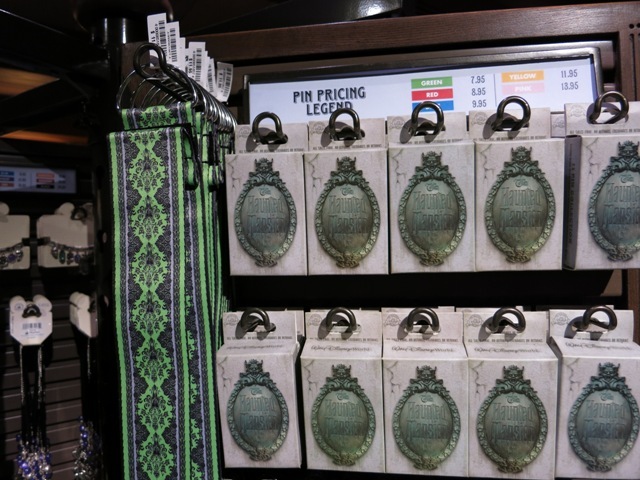 I loved the thick lanyard pictured far left. 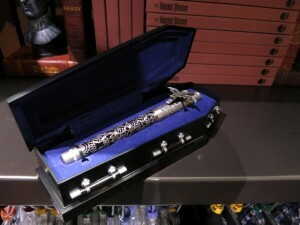 It isn’t really from the Mansion, but it had that look and feel. 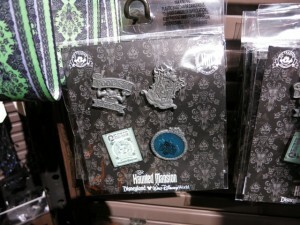 The mystery pin boxes are $14.95 each but come with two pins each. Remember, passholders do get a discount in the shop! 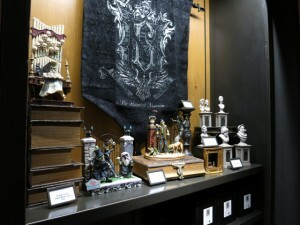 Below left are ornaments of the singing busts that we’ve seen before. 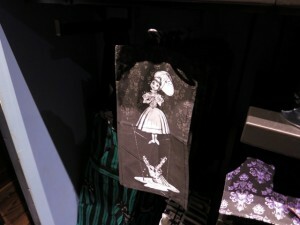 Below right was an adorable plush of the hitchhiking ghosts. It looks like their hands are connected and they come in sets of three, but I couldn’t get close enough to get all the details! 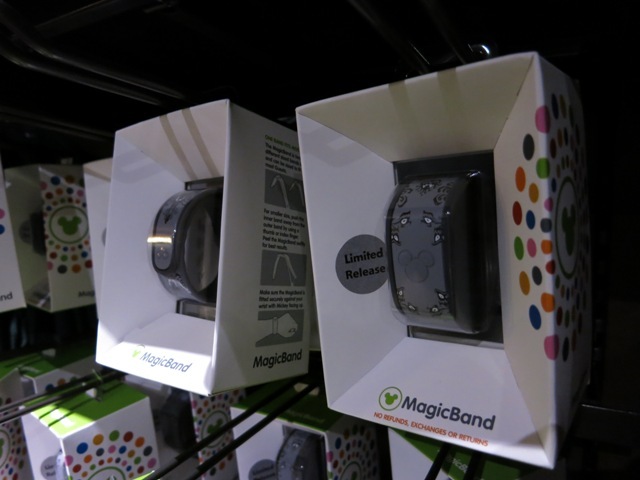 Below left are the infamous magic bands. Since these are a special edition you have to tie them to an account at the time of purchase. Below right is a thick sheet of magnets. They were really nice quality and very bright! Here are the ghost host shirts live and in person! 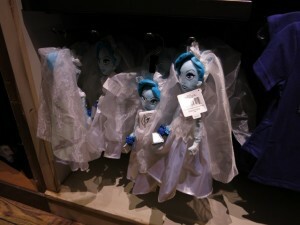 I don’t think they’re terribly flattering, but they were selling as quickly as they could get them out on the shelves! Below are brand new haunted mansion makeup and accessories. There was also a headband that looked like the ones the maids wear in the haunted mansion, but they had just sold out of those. It sounded like it was one of the only items they’d run out of so far. 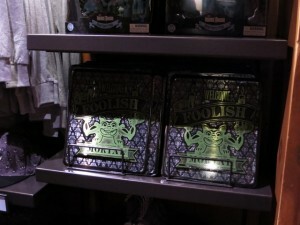 The cast members were doing an excellent job stocking the shelves despite the crowds. 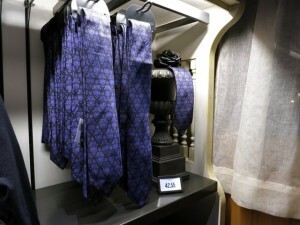 Below left are themed neck ties. Like many items in the store they didn’t have price tags, but rather a sign in front of them. I anticipate the price will go up quickly if they sell. 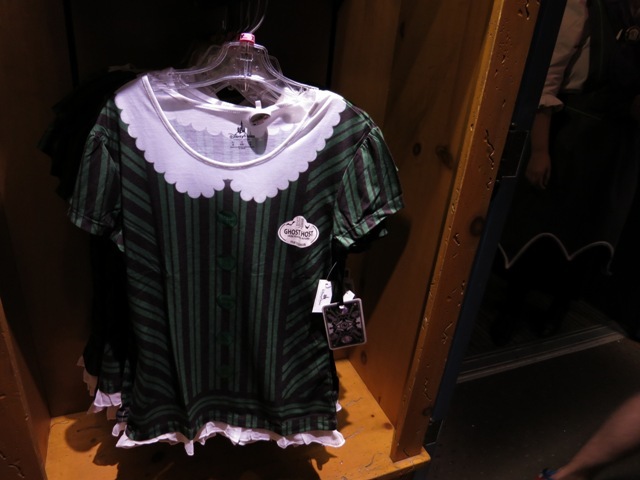 (They are already priced higher than the Disney Store online.) 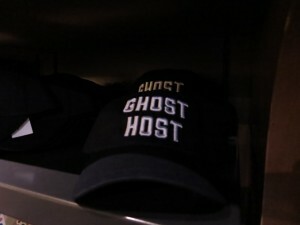 Below right is a ghost host baseball cap. 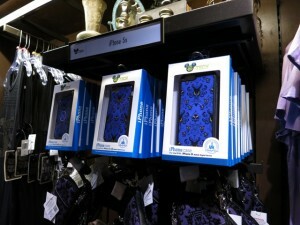 Phone cases were available for the iPhone 5s and 6, starting at $36.95. 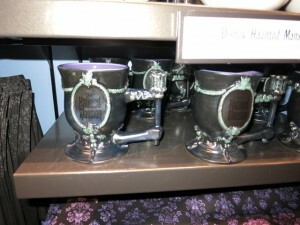 They also had these awesome mugs, pictured right. 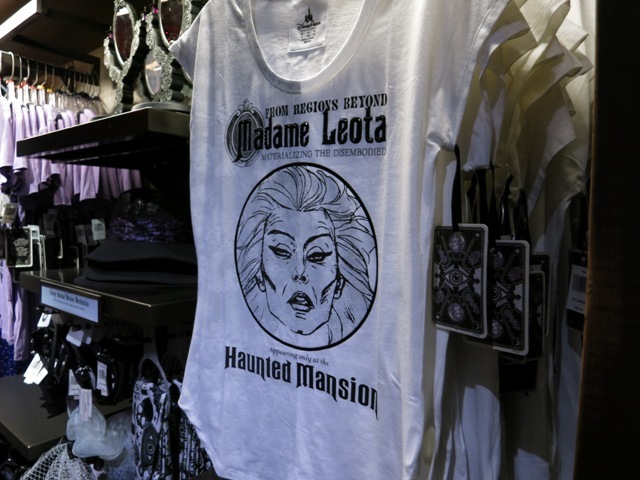 Proving that spooky can be fashionable is this gorgeous t-shirt on the left. 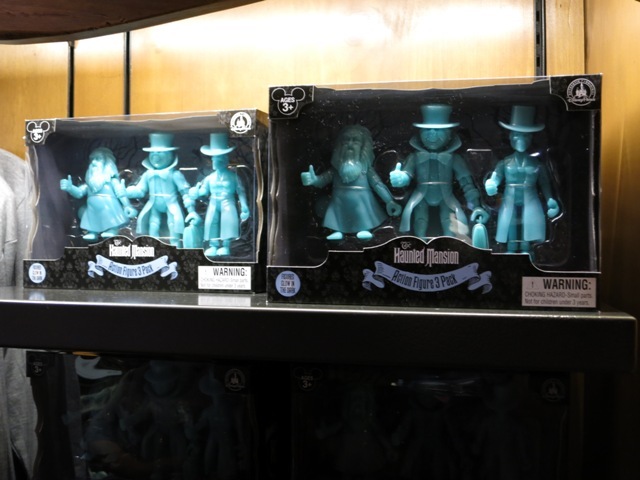 I’m also a big fan of this fun, floppy hat on the right featuring the hitchhiking ghosts. 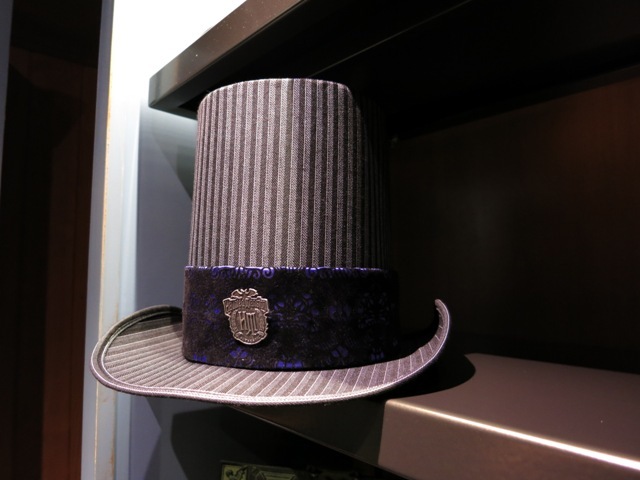 The colors were really beautiful on this hat. They picture doesn’t do it justice. Below left is a tea towel featuring one of the stretching room paintings. Below right is the new mirror. 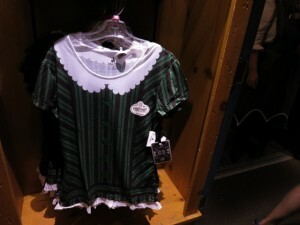 This was the only item I didn’t really “get.” Nothing about it felt like the haunted mansion to me. Maybe I’m missing something? 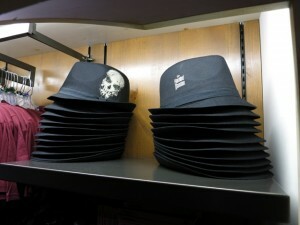 Overall, I’m delighted with Memento Mori. It isn’t full of generic items you can just get anywhere else. Disney really hit a home run with giving Mansion fans exactly what they want! 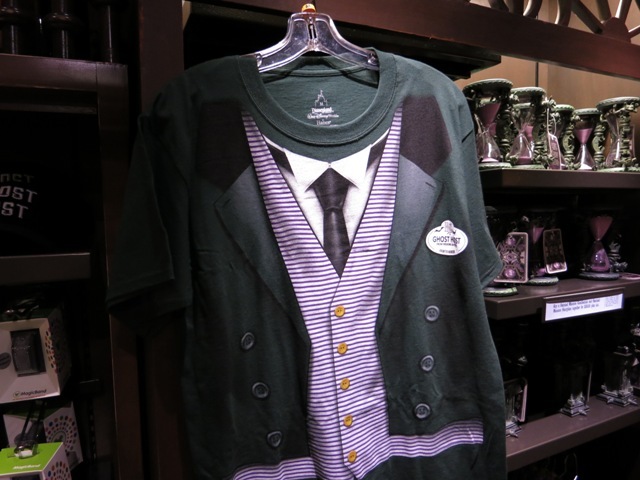 Remember, if you can’t make it to the parks, some items are available for order here, and you can always call Walt Disney World Merchandise Guest Services at 877-560-6477. Memento Mori is store number 2140. So what’s your favorite item? 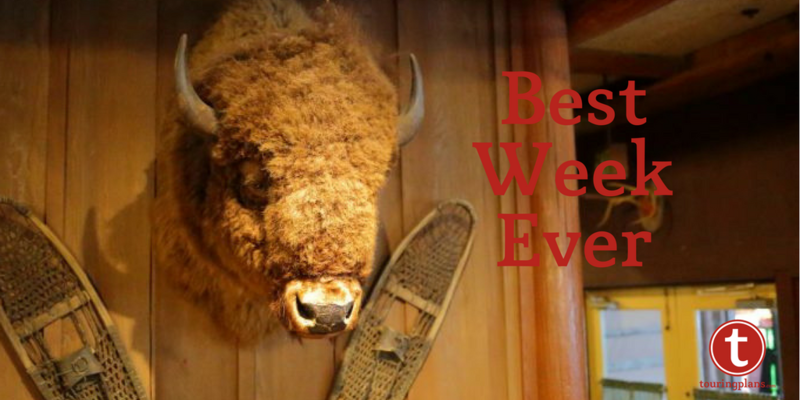 Are you excited to stop by on your next trip? Do you have any questions that we can help with? Please let us know in the comments below, and as always thanks for reading and commenting! This Week On TouringPlans YouTube Channel: Small World Holiday, Talking Mickey, Olaf, and More! November 15, 2013 Guy Selga Jr. Comments Off on This Week On TouringPlans YouTube Channel: Small World Holiday, Talking Mickey, Olaf, and More! Any sign or news about the crystal ball decoration they have been showing on the Disney Parks Blog in the Haunted Mansion merchandise articles? Hey Vanessa!!! 😀 Great to see you! Glad you enjoyed! Great piece – Thanks. Will any or all of this merchandise also be available at the Downtown World of Disney Store? 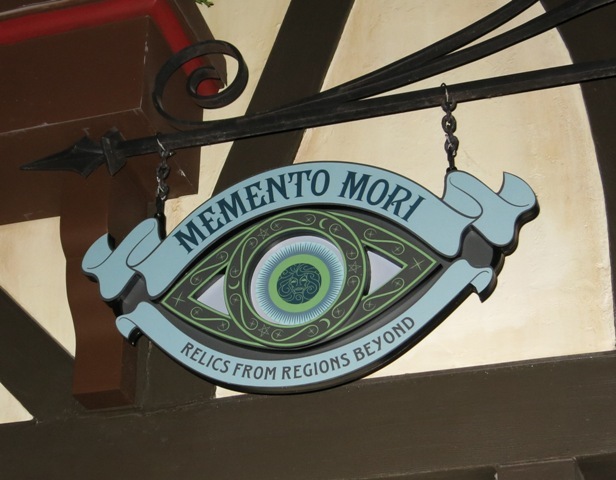 To be precise, it’s Memento Mori, as evidenced by the sign in the photo. Darn, we just missed this! Our last day at the parks was Oct. 4th. 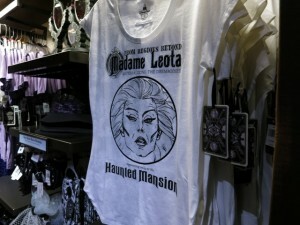 I think it would be cool if they had a boutique attached or close to it where they could transform you into a ghost or a zombie, similar to Pirate’s League for pirates and BBB for princesses. Thanks for the great pictures and info! I always love reading your articles, Daisy. 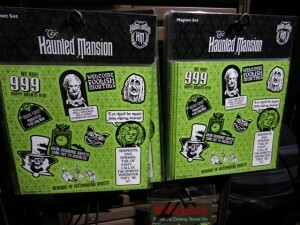 I can’t wait to see the new Dooney & Burke Haunted Mansion purse. I normally can’t stomach spending so much on a purse but I think I may have to splurge for the Haunted Mansion one if I’m ever able to get my hands on it. 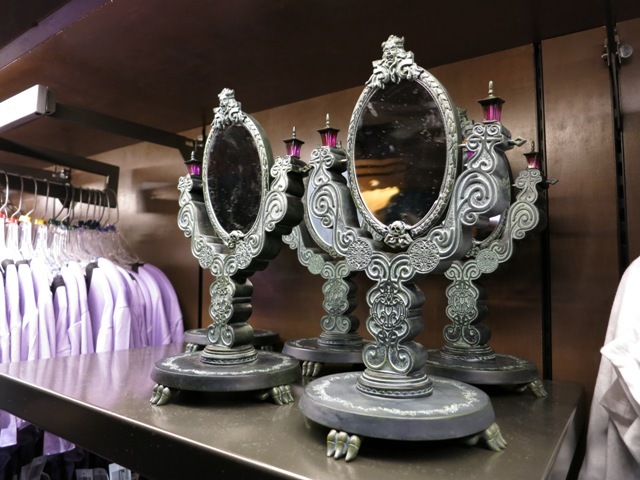 We were lucky enough to be there for the first day of soft opening and the store is awesome! 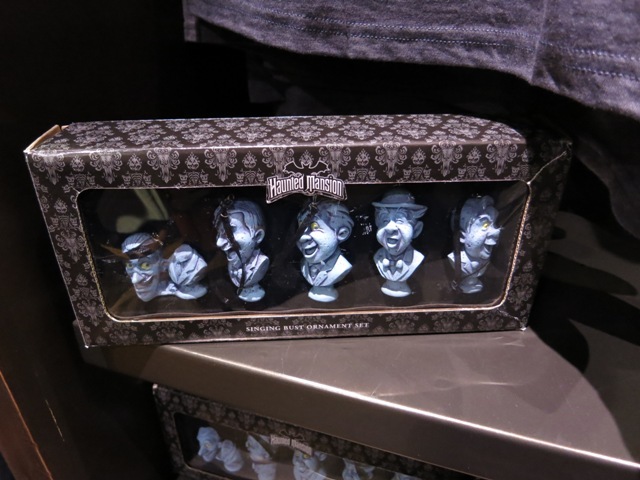 A snafu prevented us from getting everything we normally would have (and I’m most grateful that I didn’t enjoy the maid t-shirt as much as I thought I would), but did come home with the bust ornaments we came for. 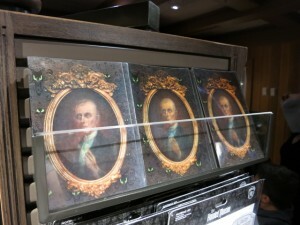 Definitely would have bought the changing portraits, but will go first thing in the morning next trip with appropriate hair. 😉 I was really sad to have to pass on the wallpaper mugs that say “hurry back” at the bottom and might just have to place a phone call to order them… I’m really glad to see Haunted Mansion get all this attention for creative merchandising! I got my limited magic band and I just love it! I’m still wearing it at home and probably will do often. As a side note, were CMs chastised for being too sedate or theatrical? 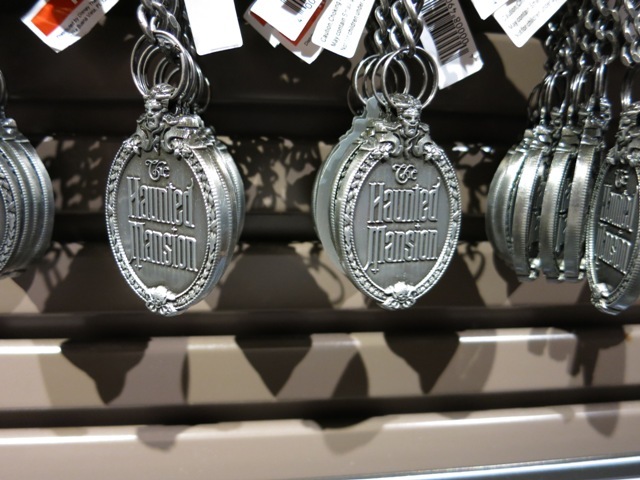 We really noticed on this trip that CMs for both Haunted Mansion and Tower of Terror were quite cheerful. Not that this is terrible, but we love it when they ham it up (as opposed to sometimes just seeming hungover at HM). One of our favourites from ToT was really different this time and we wondered if he just wasn’t up to the schtick that day or if Disney was discouraging the theatrics. It really adds to the fun when they’re in character. I was lucky enough to be there on the first day of soft opening and loved it! I was wondering if this is true or just a typo. When I was there the signs just said that there was a limit of 6 per item not 6 items total. I don’t really see the sense in it if this is the new policy. I understand that they want to prevent people from grabbing merchandis to sell on Ebay but why would Disney stop some diehard fans from buying one of everything?